Unlike my other street portraits, I didn’t have the opportunity to speak directly to this pair* of lifeguards before taking pictures, but they approved the photo shoot beforehand anyway. While sitting on the stand, each was rightly focused on the people in the water. Not wanting to distract them, I spoke to their coworker on the ground first and he relayed my request. 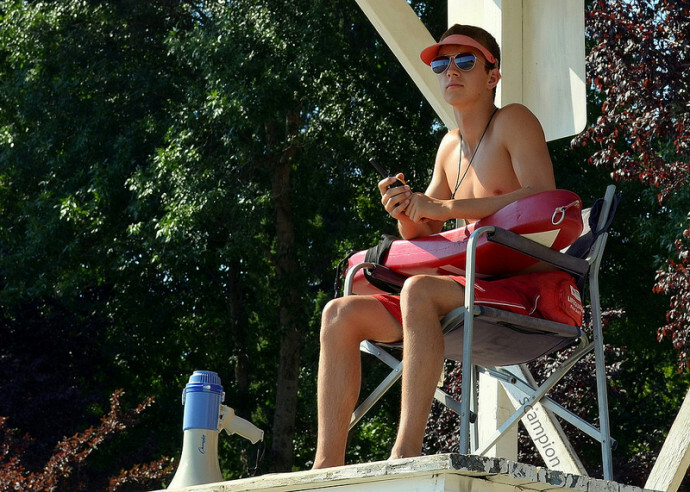 Both lifeguards pictured gave their okay by radio. I talked to one of them after he stepped down from the stand, though, and was able to thank both of them for the photos later. *The other person in the pair.